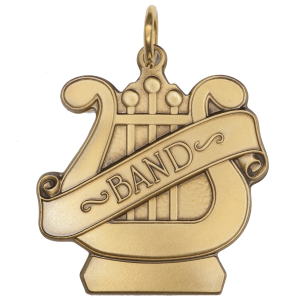 1 1/4" Lyre shaped antique finished brass (goldtone), nickel-silver (silvertone) or copper (bronzetone). Smooth back suitable for engraving. Engraving Text Line 1 (12 Character Limit)?